Divorce Lawyers For Men Okemos MI | Family Law Attorney Lansing | Bailey Smith & Bailey, P.C. From alimony to residency changes, we have the ability to protect your best interests and tailor an effective strategy for you. Move forward with no regrets. We provide a level of one-on-one service and compassionate counsel unmatched by large firms. We like to win, but we hate to lose. Trust over 90 years of combined experience fighting for our clients and their families. Proud member of the network. At the law office of Bailey & Terranova, our attorneys and staff offer personalized and tailored representation to clients across the Central Michigan region. Our dedicated Mid-Michigan family law attorneys have more than 90 years of combined experience. When visiting our firm to meet with one of our Michigan attorneys, you will be meeting with the lawyer who will be handling your case from start to finish. We provide a level of one-on-one service that large firms simply cannot match. Our Okemos law office is devoted to helping families work through their legal issues such as divorce and related matters, including child support and child custody. We can also help individuals with property division and alimony or spousal support. Contemplating divorce is difficult. The emotional stress of the loss of a relationship, coupled with the possibility of an unpleasant trial in court and the unknown fate of your future, can feel overwhelming. To alleviate some of this stress and avoid a hostile situation, turn to the skilled and compassionate legal team at the law office of Bailey & Terranova. Our entire staff is dedicated to vigorously standing up for our clients and protecting their rights throughout the course of a divorce. At the office of Bailey & Terranova, our lawyers have over 100 years of combined experience handling divorce and family law matters for clients across the Okemos and Lansing area. 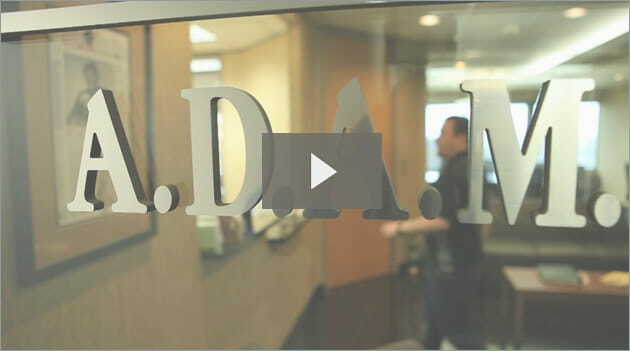 As members of the American Divorce Association for Men (ADAM), we have experience protecting the rights of fathers and husbands in all matters that stem from a divorce. Although we are known as aggressive advocates for men's and fathers' rights, our firm handles divorce matters on behalf of both men and women. Through our client-centered approach, we are able to assess your needs and vigorously advocate for your rights. From complex marital estates to post-judgment issues, we are committed to representing all clients with integrity, addressing their children and divorce issues as efficiently and effectively as possible.